Is your business website leaking leads? Watch the video to learn how Visual Visitor can help! Turn your website into a Lead Generation Machine with Visual Visitor! Lead Generation is the process or strategy of attracting consumer interest for your products or services and turning those interested consumers into leads. This can be done in many ways, and in the past has been focused on forms... Did you realize that only about 2% of your website visitors will actually fill out a form? That leaves around 98% of your potential leads lost. With Visual Visitor you can track that 98% without a form! What does Lead Generation with Visual Visitor look like? From an Instant Email Alert. This alert will provide you with detailed information about the visitor, their company, the pages viewed, their history, and also include research information like prepopulated links to research sites, keywords used, and any email campaign information. This method does not require you to log in to the dashboard for any of the information about this visitor. 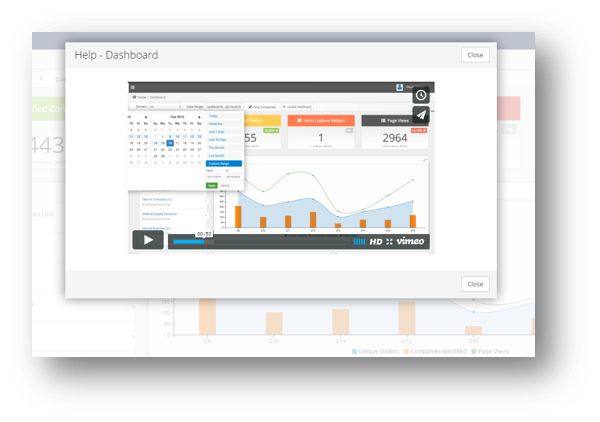 From the Visual Visitor Dashboard. 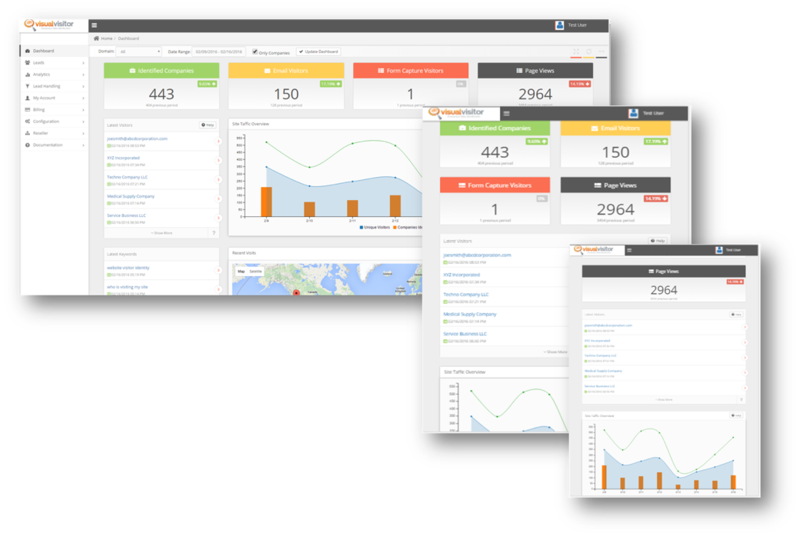 We have a very in depth and intuitive dashboard available to our customers with live stats showing company visits, email visitors, form captures, page views, and more. You can also see your latest visitors from the main screen, or go to the Search Leads page for a full listing. From here you will also have the in-depth data mentioned above for each visitor. Exported Listing. Not all data needs to be seen, and we have many customers who like to have their visitor lists exported and sorted in a way that is customized to their specific needs. This option is available from our Report tab – along with other reports. With a 14 day Free Trial and a low cost of $59/month, can your business afford not to try Visual Visitor?